The Life of a foreign woman in Latin America – Things different and the same. Are racism & misogyny losing ground? Some of you might be aware of the recent scandal happening in the United States relative to NBA team owner Donald Sterling. For those unfamiliar with the event, he was audio recorded in a spat with his “girlfriend” (mistress) who also happens to be of a Mexican and Black racial identity background. Sterling was caught in a peppered stream of racists and misogynistic rants that would make most octogenarians’ shutter (Sterling is 8o+ years old). His visibly younger paramour, appears to have also had a sexual relationship with Sterling because in the audio tape (Google it if you want to hear it as I do not want to embed that messy link on my blog) he graciously extends to the woman an offer to sleep with other black men that she would fancy. 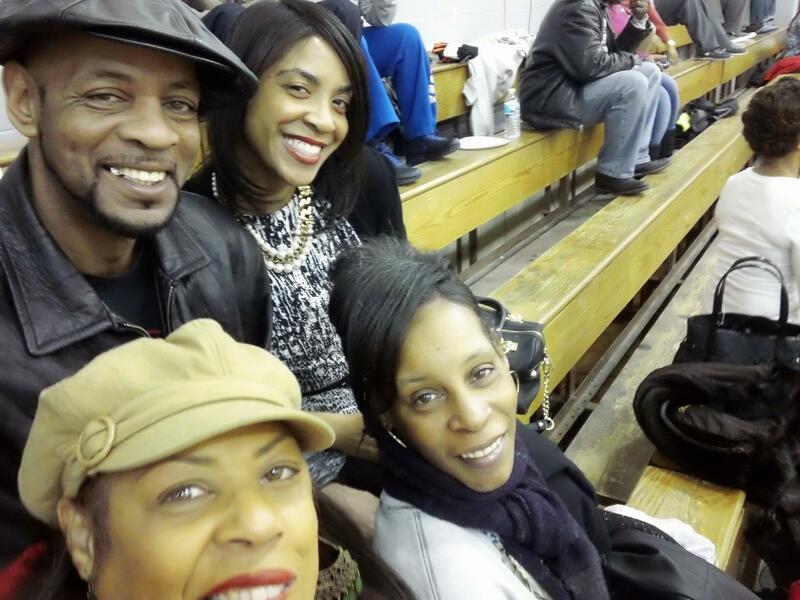 The only caveat relative to his sexual invitation was that he forbade her to bring such black associates to his basketball games. Moreover, he admonished her to work harder at being a more delicate, desirable woman, and to use white women as her prototypes. Turning the channel just a “skotch”, in my Twitter news feed on yesterday I saw that a Brazilian soccer player who is a member of Spain’s soccer team, suffered the indignity of a racist taunt. Someone threw a banana onto the playing field in proximity of the athlete, to suggest that he was a monkey, in an effort to insult him. His response was to pick up the banana take a bite of it, and go back to playing his game. Ha ha, kudos to him for keeping it classy!! Today, on my friend Fernando’s blog, The Talking Violin, I had a chance to better understand the story. That was because when I searched for an image of the player (Daniel Alves), who someone thought looked like either a monkey or of Black heritage, he appeared visibly to me as neither… But, what does that mean? What does “looking” Black mean such that it is internationally viewed as something to be feared or chided? So last night, in my idle internet surfing time (which happens a lot as you try to complete your dissertation), I decided to create a fake magazine cover of myself with a Facebook photo I recently took (see above). What was most interesting to me (in my pseudo-scientific study) is how many people liked the picture and some indicating that I looked Latina. This is not the first time that someone thought I was Latina just from my picture. At first, I thought it was because I was studying in Chile and someone might have assumed I was of a Latin background. 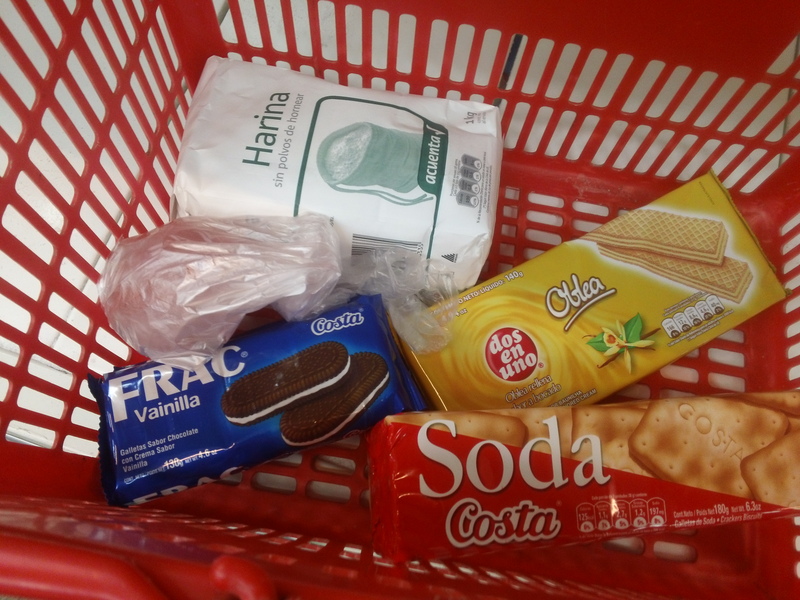 Some here in Chile have wondered if I were Columbian. In actuality, my father always told us about our Native background with his side of the family coming from Louisiana, Texas, and Oklahoma. Like most multicultural/multiracial groups you are defaulted to what is considered the lower sociopolitical group (at least historically in the case of the United States) if you have only a “hint” of non-white blood. The irony is that things are changing in our World. Most anthropologist and social scientist who study race in the United States project that the “appearance” of a so called minority persons will continue to become quite ambiguous for distinction as either Black, White, or Other. So what will that mean for power and privilege dynamics in the future? Will Blacks be threatened to have their metaphorical “Black-pass” taken away from them if they do not boldly with raised fist proclaim to the world “I am Black! !” Will it also require the refusing to accept any privileges or opportunities that a non-black ambiguous appearance might be afforded? Some people may choose that route, but I think many will not because many people are not always consciously aware of how race, in some cases, has subliminally impacted their lives and how others perceive them based on phenotype expressions. How many times has someone responded in a pleasant manner to you, in spite of your “blackness” or “whiteness” because you reminded them of a prototypical Black that they are comfortable with engaging (e.g., Oprah, Colin Powell, Barack Obama, Beyoncé, or Aunt Jemima). I was not being snide about that last character reference, because many people view the image of a smiling, robust, Black woman (especially cooking some pancakes) as safe and inviting. But, here’s the good news, and where I introduce my dissertation theoretical framework of Spiral Dynamic Theory and Memetics. Below in a hierarchical framework introduced by Clare Graves, who found in his research that adults go through stages of developmental change moving from simplicity to higher order thinking and problem solving. Additionally, the framework oscillates between more individualist worldviews (right side) to more collectivist worldviews (left side) which are subsuming systems and remain a part of your cognitive toolkit as you advance through the spiral. Graves primarily developed the first 6 levels of the framework before his death in 1986. Myself, along with other scholars and practitioners’ of the Gravesian-Spiral Dynamics frameworks, are seeking to better define the higher order levels (of memetic worldviews in my case) in this diagram. I am specifically looking to expand on this theory and framework in my civic engagement research. I am encouraged that the NBA decided to ban and fine monetarily Donald Sterling for his horrible remarks and actions, suggesting to me that perhaps we really could be making a higher order change on issues of race. The NBA sent a very strong message that the community (collectivist “we” worldview) of basketball would not find the actions of people like Sterling welcomed moving forward (Green vMEME). In the very short past, I would have expected more of a business decision were Mr. Sterling would have received maybe a public tongue lashing, possible fine, but still be allowed to retain his rights as owner and money maker in the league (Orange vMEME). I was pleasantly surprised by the NBA’s response yesterday to the incident. Additionally, celebrities and fans of Brazilian athelete Daniel Alves took to social media with an outpouring of support towards him in the form of pictures of their eating bananas and metaphorically thumbing their nose at the racists. 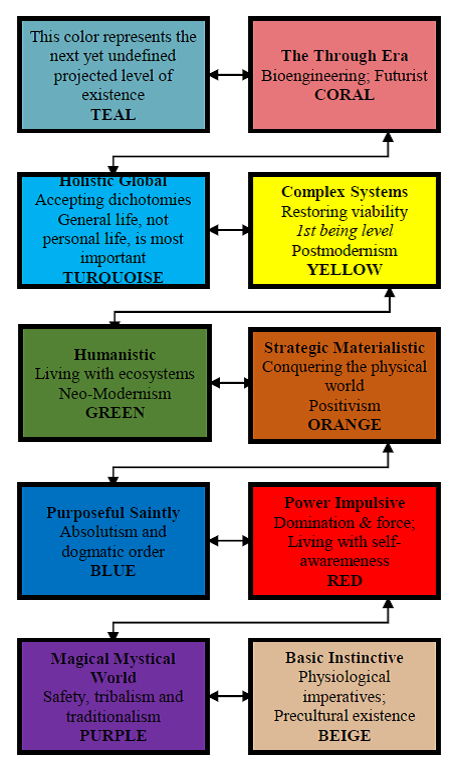 I also interpreted that as an Orange-to-Green memetic shift, because in the recent past, although some people might have thought the behavior shameful, they would not have been willing to risk their own social positioning in speaking out on a world stage in opposition to such negative and offensive racist behaviors. Bravo to them for shunning the, “I don’t want any trouble for myself” syndrome. US Culture is so ubiquitous: A cause for celebration? Saturday evening musings from Chile. Walking home one night last week I looked up to see all of the movies that were playing at the local World Cinema near our neighborhood mall. Now, I had been observing the types of movies that were being shown there since last September 2013. 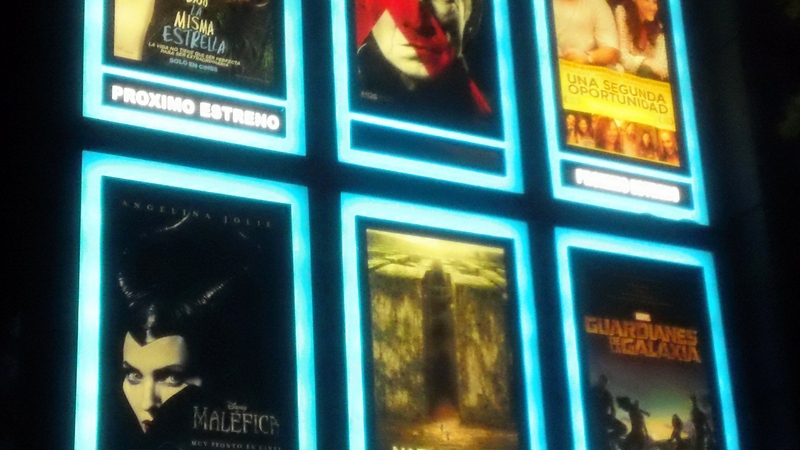 At first, I was very encouraged to see that US films were also being shown here in Talca, Chile. But I also began to realize that very few films feature Black people as particular subjects in the films shown here at the Cine Mundo. I do however, distinctly remember seeing Marlon Wayans in one of the marquee advertisements last fall, but I am not for sure if what movie was, not a regular movie goer (cause I’m a grad student = no life) perhaps, Scary Movie 15 or 100? lol I’m just kidding. I began to think about the international export of North American images and movies representing persons living the “Black-Life” in the US; and how such images are very rarely seen here in Talca. Nevertheless, it is not at all uncommon to hear the songs of Black musical artist blaring either in my own campus office or as I pass by a local Discoteca (yes, they are still called Disco Techs) only to hear Pharrell’s “Happy” song or some other soulful tune from a Black artist. It is in times like these that I am grateful for the internet, because it allows people from other cultures to get more unfiltered views of people from around the world. If left to the whims of free-enterprise, most international image makers if left unchecked will promote racial stereotypes and representations that some of the more “unconscious” and anti-diversity power brokers in Hollywood seems all too willing to promote. Movies like, The Butler, and Twelve Years a Slave, are far more cherished as the gold standard of successful black films (images), making movie executives very rich. Far too many people fail to realize that Black life, African life, did not begin in slavery. Standards of excellence have remained deeply embedded in the ethos of African and African diaspora peoples whether they be in North, Central, or South America. Deficit models, representative of Black peoples, look to position the community of African Americans to simply be satisfied with “crumbs”. These often clandestine efforts tries to pigeon-hole Blacks into a mold that suggests a person’s desire to be one of the most preeminent Astrophysicists in the world (i.e., Neil deGrasse Tyson) is ludicris (not the song artist). These are the voices of an imaginary “post-racial” society that simply no longer wants to deal with the hard work and complexity required for deliberative discussion of racial politics. Moreover, a single-mom looking to return to university study so as to obtain a PhD, after having raised an awesome daughter who is now a lawyer and young Black woman making her own way and socially conscious mark upon the world is an anomaly. Maybe it is. All of the fore mentioned challenges were faced by a woman who lost a great paying job, beautiful home, and for a short time a since of personal dignity. Even more so, that woman is an older adult learner from a working-class African-Indigenous American family heritage, and wanting to study civic engagement in another country. That required she learn another language and live in a totally new foreign cultural context. Top that off with needing to apply a futurist theoretical framework that incorporates the sometimes controversial science of Memetics alongside Spiral Dynamic Theory, and Multiple Intelligences theory being the cherry on top. And finally, this woman is creating this nutty-sprinkled concoction of sweet deliciousness as a mixed methods dissertation study… Whew!! But, I love it nonetheless!! I am glad for new knowledge and technology in the form of internet blogging which allows me access to communicate my experience to the world. Thanks to God and new media, I don’t have to wait for any Hollywood executives to find my story and others like mine worthy of international marketing appeal. Now, the challenge for me is to increase my WordPress readership. Hah hah. Alas, one step at a time Candidata al doctorado. Oh, I forgot to mention to all my friends, and family back at home in Ohio, who I teased when I arrived here in early March to 70 and 80 degree weather… things have changed. As I mentioned on Facebook, the seasons run opposite here in Chile when compared to the United States. As you all are now entering spring and summer, we here in Chile are approaching fall and winter seasons. It was so funny seeing all of the Chileans here in Talca, walking around with their winter coats, hoods, and scarfs on today. While I strolled to campus in Zumba exercise pants and a sweater. I’m from the Mid-West and this Mediterranean weather don’t scare me. Waz up cold?!! Nah, I jest. It gets really cold here at night, Brrrrrrrrrrrrrr!!! Time to bust out the sweaters family. Luke 24:5 King James Version (KJV) And as they were afraid, and bowed down their faces to the earth, they said unto them, Why seek ye the living among the dead? In light of Resurrection Sunday on yesterday, and today feeling particularly reflective about life, my academic/career plans, and my relationship to Jesus of Nazareth. I thought about his messages offered to the world. Holidays have always been special times spent with my family, but since entering my Ph.D. program at the University of Georgia and now conducting my dissertation research in Chile, South American, I have learned to adjust to not being able to eat the wonderful family meals prepared by my mother or one of my sisters during holidays. I also miss out on the family fellowship times which can easily turn quite competitive if someone breaks out the games and we all form our teams looking to become the Scrabble, Monopoly, or Trivial Pursuit champions. However, these memories did not lead to an existential crisis, on the contrary they led to more of an existential epiphany. Why does a person need to feel ostracized if they hold values and beliefs that are not common to me or visa versa? More specifically, when I study the life of Jesus, it is rarely depicted like you see in commercially produced movies or picture cards commonly seen during religious holidays. Jesus was very strong in his objections to religious leadership that held the less powerful to standards that they themselves did not regularly achieve. Yet at the same time Jesus produced a message that was both compassionate and full of expectation that called people to strive to a more excellent way. The call did not seem to be based upon some rules or commandments, but more due to his wanting people to aspire to their highest forms of self. Jesus’s teachings suggest to me that these lofty goals of self-awareness are not easily attainable in disassociation to The Creator. We live in a physically comprehensible world, but our awareness of “reality” is incomplete if we limit ourselves to those things we can understand with our physical senses. Things that are explained through the principles of physical/natural science phenomenon are not enough for me cognitively or intellectually. For example, what is the substance that makes living creatures by nature want to survive… and conversely, what element of the self is lost among those people and things that no longer want to survive and exist to the point that death becomes a welcomed relief. I have come to the conclusion that it is our spirit, in the case of human beings, made alive unto God the Creator in a way that is not fully or easily comprehensible. The proposed inexplicably, in my view, is in large part because we are “so fearfully and wonderfully made” (Psalm 139:14) therefore, the five known human senses become insufficient as a means to describe spiritual connections. Also, the fact that God is a Spirit and the aspect of everyone that is like God is made of spirit being, there has not to date been any scientific physical instrumentality that can capture the individual “you” in its entirety. Ahhhhhhh, there it is, complexity has just entered the room (smile and a wink). Jesus is my role model for teaching. I admire how when dealing with adult learners he used a variety of modalities to “meet people” at the level in which they could comprehend his messages. He used parables and allegories to help the most simple to the most erudite listeners understand his teaching. Children and the less powerful preceded Jesus on a fateful Passover day (that many celebrate as Easter) with songs of praise and hopefulness; while respected scholars and theologians were so captivated by his wisdom and understanding of scripture many secretly counted themselves among his disciples but kept it hidden for fear of being ostracized by those who were the more politically connected and religiously powerful during that time period. Fast forward to 2014, I find myself at an academic/career crossroad. I have been doing some research for my committee chair (I am also her graduate research assistant) about what will the 21st Century New Knowledge academic and/or scholarly practitioner resemble in comparison to pre-millennium professors and practitioners. I first surprisingly discovered that I fall into the category of Generation X, with a confidence interval of ± 2. he he I have also learned that there doesn’t appear to be the mass exodus of aging faculty leaving the academy as miscalculated; poor economic times has led to many a professor to work longer versus entering into retirement. So currently, we are producing from our universities a dearth of bright-eyed new doctoral graduates with no place to go per se. I personally am finding the “publish or perish” paradigm quite unsettling. Not because I have reservations about publishing or writing, it is because I want to publish and write things that I feel are important to improving and changing lives, systems, and societies. I don’t want to be so obsessed with impact factors and finding “the right” journals that my research and scholarly contributions will only be relevant to a small circle of scholars looking to compete with their colleagues in introducing the next big theory or framework. I don’t want to lose folks who I thought were friends because they might be jealous of my seeming success during their time of struggle. Nevertheless, the conflict for me is that I love teaching and engaging with students and communities. I love academic research as I am also a scientist by nature, holding degrees in biology (specializing in microbiology) with a minor in chemistry, plus a MPA. My adviser mentioned to me an emerging field of “Social Entrepreneurs”. I need to do more investigation into this area as I think it might be something I will find rewarding. I told my committee member Dr. Watkins that I am not sure if I want to be an Academic and she vehemently told me that she very much thinks that academia was the right career path for me. That made me smile really big on the inside knowing someone I admired and respected so much in academia viewed me as a future scholar with much to offer. In all of the hustle and bustle of my busy days here in Chile, rarely a day goes by that I don’t thank God for my family and the life my parents provided for us as children. Few experiences are more precious than the love of your brothers growing up. The confidence, protection, and sometimes (terror) that siblings bring into our space, can leave an indelible impression that can follow you for the rest of your life. The love, care, and protection that I received under the umbrella of my brothers’ self-appointed guardianships over me and my sisters, has contributed to my being able to be in Chile today. In reflection, from the time they showed us how to physically fight, to their being vulnerable, even crying in front of us girls my brothers are very special. 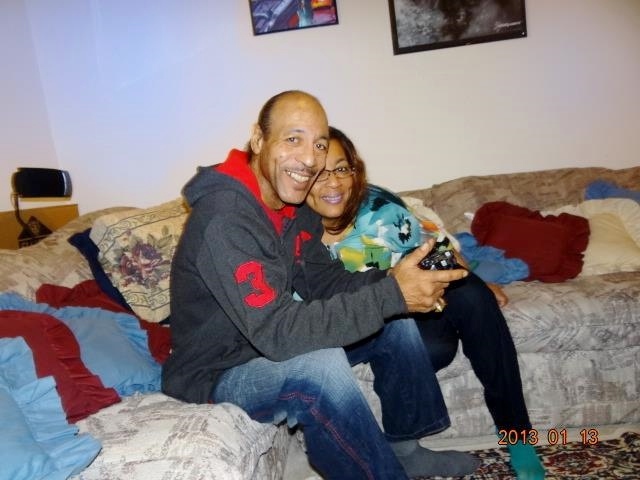 Their maturity and love over the years has only grown and has contributed to their being loving and excellent fathers to their own children today. Sure, they weren’t perfect and made mistakes like the rest of us. But, I think they have no idea how proud we all are of them at times and I am using this reflective moment to share that point with them and the world. I love you Jimmy and Darrin, you guys are the best kind of awesomeness brothers. ❤ ¡Los quiero mucho! I will never forget the time when I was in the elementary school walking home with my little sister. Another young boy in my grade had taken a fancy to me and caused a small circle to form around us near the playground because he wanted me to give him a kiss. I was in total fear and shock because at that point I had never kissed any boy and I most certainly didn’t want that exchange to be with him (not my crush). Out of fear my little sister ran home to get my mom and left me alone with this brute and the circle of chanting classmates. Then all of a sudden this fiery little kindergartener (my little brother Darrin) appeared out of no where and assailed the would be “Romeo” with punches, telling him he’d better leave his sister alone. I was rescued!! 🙂 I constantly recount that story at family gathering as it always makes everyone laugh. But, that is simply how our brothers were with their sisters. They protected us and on more then a few occasion caused us girls to be in neighborhood fights with them as they tended not to back down to anyone. 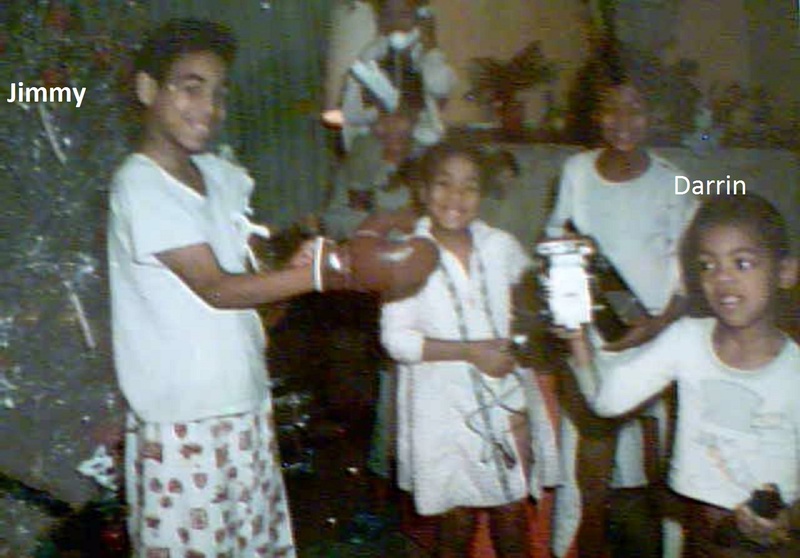 The picture above shows my Big Brother Jimmy wearing boxing gloves he had received for Christmas. Those are the same boxing gloves he used when I asked him to show me how to fight. We were bouncing on the bed like Muhammad Ali until the first punch my brother laid to my arm caused me to drop. At first, I wanted to stop and cry because I felt he had punched me took hard. He laughed informing me that was a soft punch and continued the lesson. Nevertheless, you cannot find a more loving pair of brothers. I always asked them how they could seems so tough but be like putty in our hands if we were feeling down or vulnerable. To which they would always respond, “I love my sisters and would die protecting them!” So that’s the kind of legacy I have that has made me unafraid to try new things and go to new places. Of course, I exercise wisdom and don’t go places that are dangerous or where I could be harmed. But, I always felth that my Daddy and Brothers had my back. My brothers are always so proud of us and brag all the time to their friends about their beautiful, classy, accomplished, and intelligent sisters. That always makes me smile inside. I so wish all of my family could be here with me in Chile, experiencing this wonderful opportunity to see the world and life as a Black person living in a cultural context that isn’t the United States. Yesterday, I used my RUN number to secure discount points at the grocery store. That was major for me on two levels. The first being I always look for savings when I grocery shop and was very frustrated that before obtaining my residency card I wasn’t accumulating points. The second is that I was able to do these activities all on my own and I wasn’t nervous anymore about conducting my affairs in Spanish. But, I ain’t goin’ crazy with it. 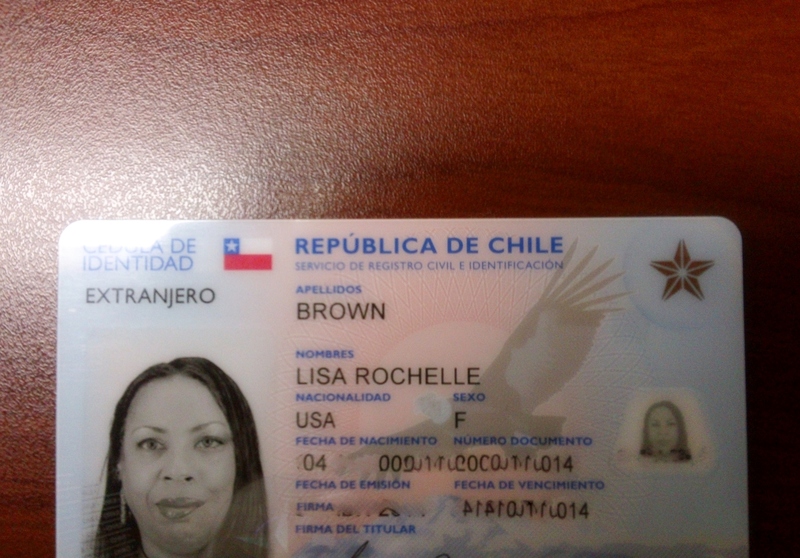 I have to renew my student Visa in June and I will certainly have at least one of my Chilean homegirls with me to get all that competed successfully in Santiago. 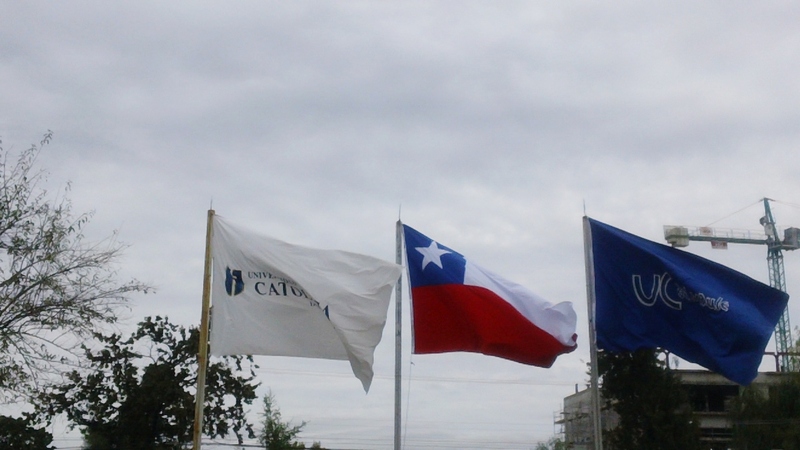 As I arrived to campus I noticed these flags (banderas) representing the Universidad Católica del Maule and the country of Chile blowing in the wind on campus. They looked so majestic and strong, standing tall in the midst of the strong wind’s that crashed and assailed them. This image also reminded me of the characteristics my brothers possess and it also reminded me of how small the World is becoming. Who would have thought during the time that I was being terrorized for a kiss in elementary school that I would be walking the streets of Chile, South America to a University who is hosting me as a Visiting Scholar. Moreover, that I would be here in another country completing my doctoral dissertation research. I’m not a person who believes in happy accidents and luck. I believe in the favor that God shows to those interested in walking in their destiny, and holding to a higher purposes that reflects his love and intelligence in the world. To realize that I am that little Black girl from Lake Street, in Akron, Ohio, now positioning myself to complete my Ph.D. in Adult Education so as to become a woman who can “change the world”… well, words are too limited in their ability to describe this feeling. Didn’t really have much to blog about today. Just thought my dinner salad look extra pretty, in spite of what are clearly GMO laden veggies (which I have no real choice about eating here in Chile). Dang! 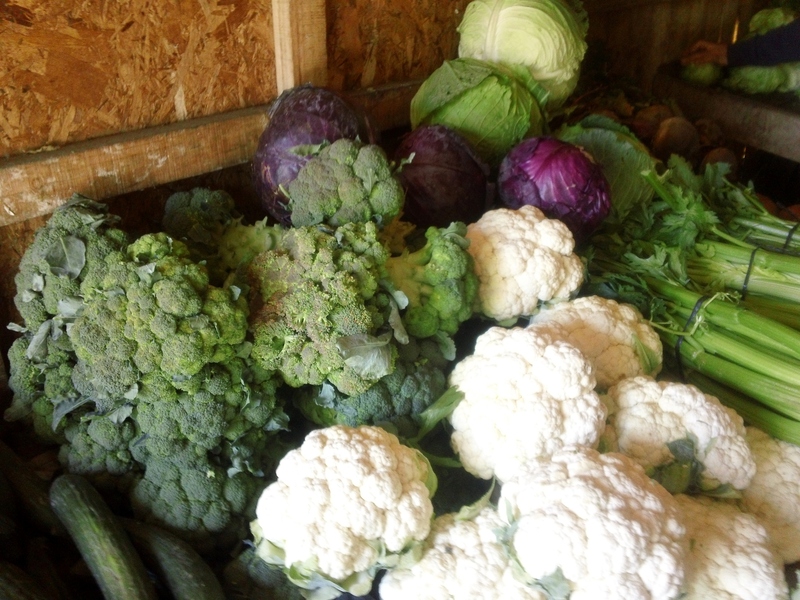 Why are your fruits and vegetables so big here? 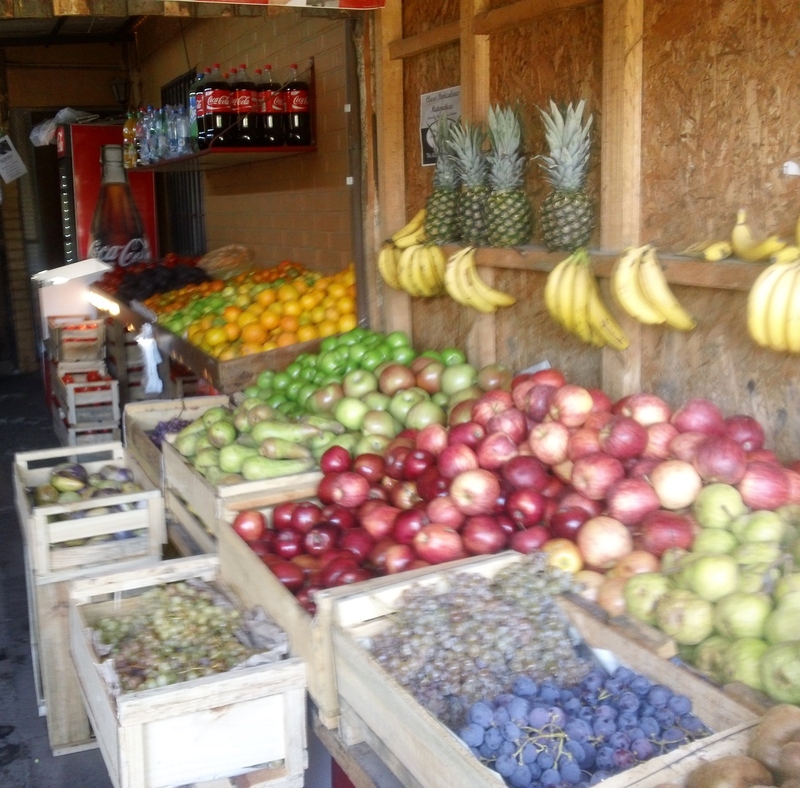 I noticed early on, here in Chile, what appeared to be super seed saturated fruits and vegetables. Oh Monsanto!! You ubiquitous monster. I finally got up the nerve to ask the man at the fruit and vegetable store in my neighborhood if I could take pictures of the produce. He kindly said, “Yes”. As a side note, I showed a picture of a giant sized plum (it was as big as a Macintosh apple) I had purchased on Facebook with the caption, “I hope this isn’t a GMO fruit.” One of my Chilean friends responded immediately, indicating that it was indeed a GMO grown fruit. Le Sigh… So here are the photos I took at the store this week. 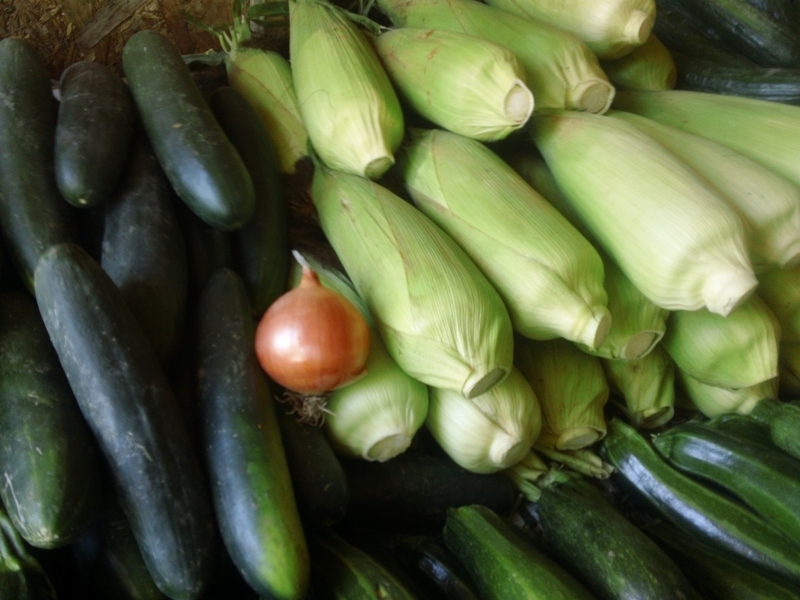 I placed a rather large onion next to these ears and corn and cucumbers so as to give the picture scale. Pretty big corn there, yes? The stocks of celery here are twice the size I have seen in Ohio (which is a very agricultural state with support from the agricultural foods departments at OSU). The celery here is 3x’s bigger than any of the celery stocks I have seen in Georgia. Above in this picture I am assuming that these were Kiwi fruit. However, they had the oddest shapes I had ever seen. I’m really not a big Kiwi eater so I had not problems staying away from these babies. I also wanted to mention that the grapes are delicious here. 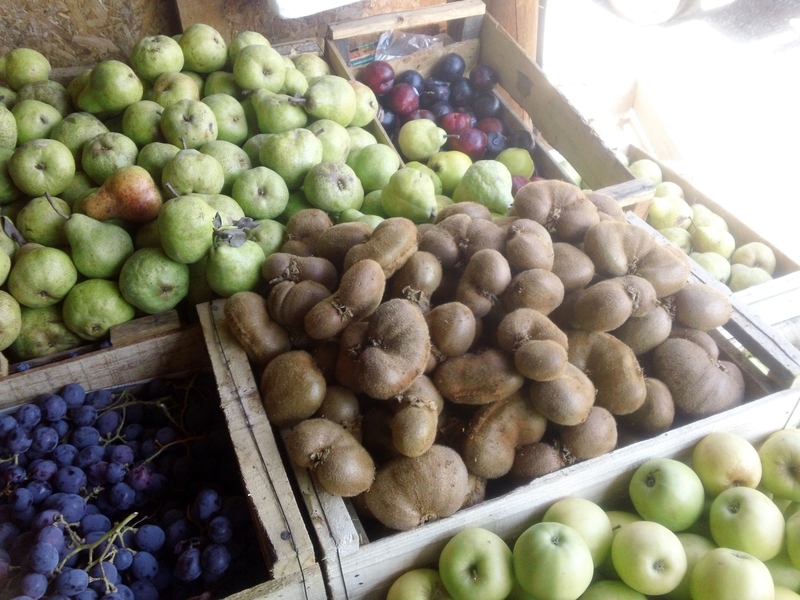 The ones in this photo to the right of the kiwi are a very deep dark purple. In most instances these would taste a little sour back in the U.S. But, the grapes here tend to be very sweet and tasty. I get most of my fruits and vegetables at this place. I love to cook so I stop by quite frequently during the week. Plus they are waaaaaaaaaaaaayyyyyyyyyyyyy cheaper than the neighboring big chain grocery stores (both owned by WalMart). Well, I guess to compensate for the big produce in Chile, they make the portion sizes much smaller than what a typical North American would see. I guess everything balances itself out that way. I did notice that I rarely see anyone morbidly obese here in Talca, Chile. Far less than you would see in the United States. 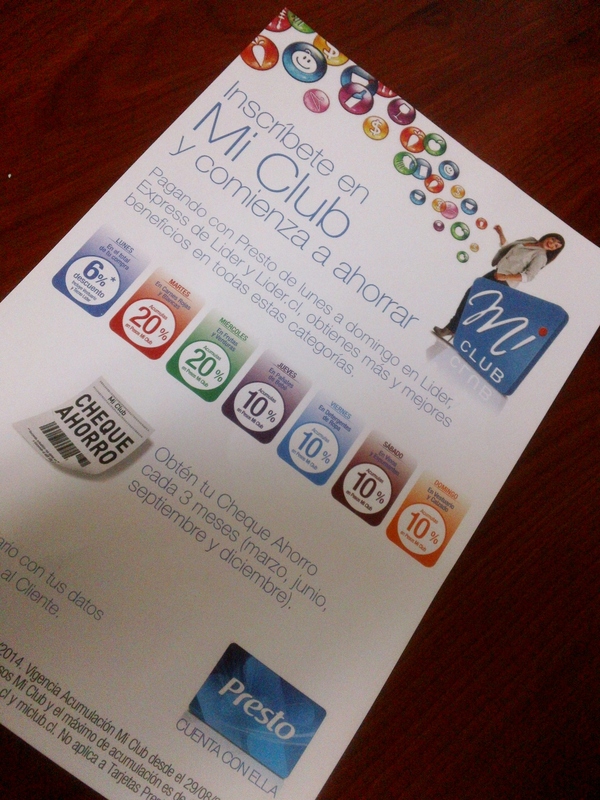 I always seem to actually loose weight faster here in Chile.